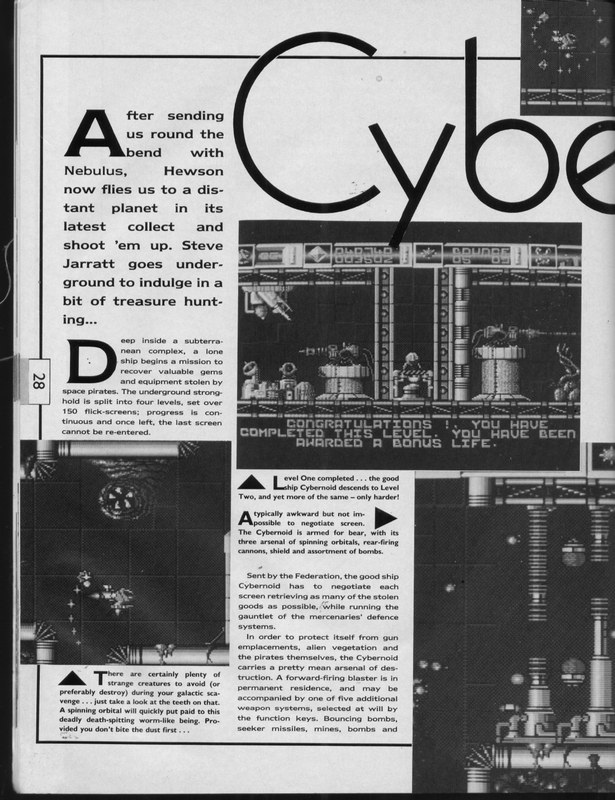 Ooops, I can't edit my previous comment but Jochem Hippel's conversion of the C64 Cybernoid music originally appeared in the Union Demo not So What demo. 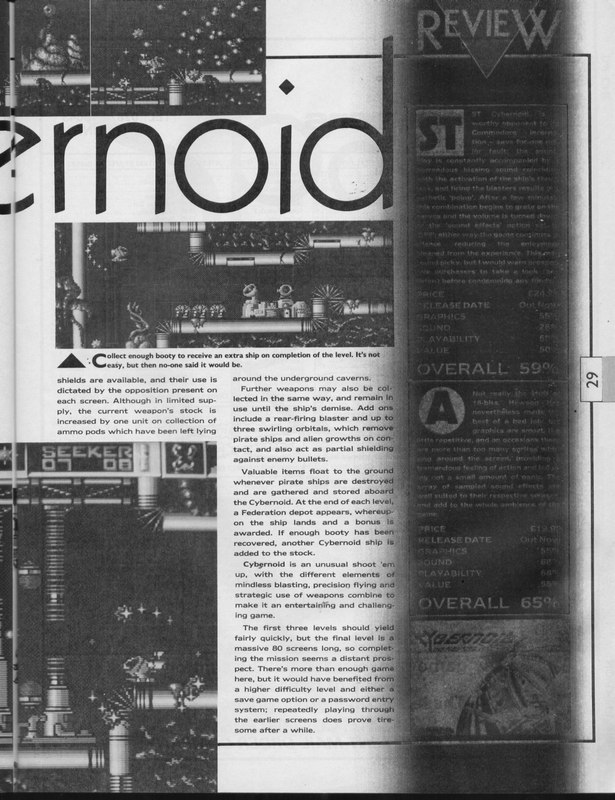 The music in the ST version of Cybrnoid is completely different and not from Jochem Hippel. The music in this game is not by Jochem Hippel. But he did do a C64 conversion of the music for the So What demo but that is not the music from the Atari ST version of the game. A very enjoyable blast without scrolling. The graphics are beautiful although the game slows down at times on the ST. Blind shooting won't help, the key to win is to use a proper strategy on the extra weapons and their utilization.